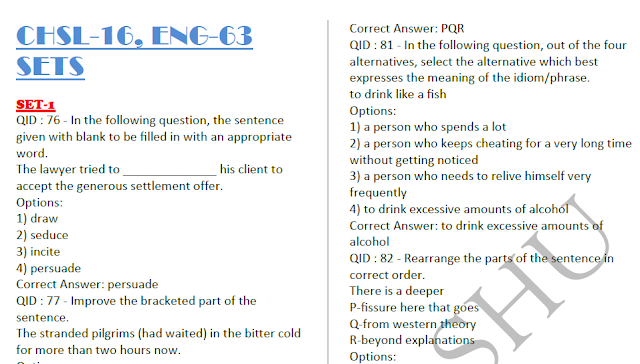 Hello Aspirants, Today we are sharing e-pdf of English Question & Answers 63 Sets SSC CHSL PDF. This PDF is very useful for upcoming examinations like SSC CGL, CHSL & other CWE exams. This PDF has prepared by Shri Sachin Vashu and Credit goes to him. You are advised to Download PDF from the link provided given below.